Tomlinson Plumbing are, it comes as no surprise, a plumbing company. Covering all areas of plumbing, servicing Geelong, the Surf Coast and the Bellarine Peninsula. We've worked with Tomlinson Plumbing for many years. We've built several iterations of their website, but about 3 years ago they came to us with a unique challenge. They were moving their business and family from Sunbury to Torquay. So, they were about to move their business to an area where they had no history, no presence and no customers. Ok, challenge accepted! 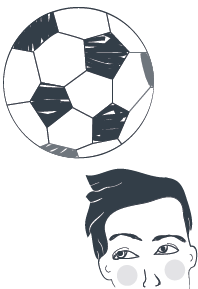 At this point they became our first online marketing client, choosing to put trust in our novel approach. We believe that trust has been repaid in spades, but we are still humbled that they took that leap of faith. In the area they were targeting there are any number of plumbers. Many of these plumbers are well entrenched with a long history of serving the area. So, how do you get noticed in an area where you just aren't known? Good question! We began with a site rebuild. Trying to become the number one plumber was a tall order, so as we always suggest, we focused on a key area of their service offering.We focused on becoming the hot water specialists in the Torquay area. From there the focus has moved to include all areas of their business. It took a little while, but during one meeting it was clear that the lightbulb moment had arrived. From that moment there has been no stopping them! They continue to go from strength to strength. 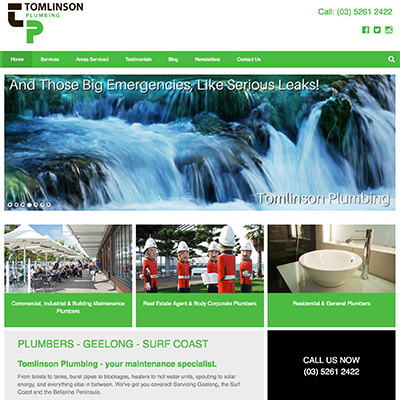 Tomlinson Plumbing continues to grow their presence online, through targeted website content, social media and email marketing. Just as it takes time to build a presence, it takes consistent effort to maintain it. We cintinue to work with them to do this, expanding their presence throughout Geelong, the Surf Coast and the Bellarine Peninsula.